What other genres of music do you listen to apart from Psy? Oh yeah Sepultura and Fear Factory rocks big time! time wave zero wrote: jo sepultura rules. i am not ... ... sepultura. it was so incredibly trancy. oh i had a sepultura t-shirt too. but i had a cannibal corpse t shirt too, not so much because it was a favourite project, but because the t-shirt was soooo cool. the teachers definitely had a problem with me in any sense. especially as my t-shirt got old and full of holes into the naked body. they had a problem with this one and actually it looked so cool..
time wave zero wrote: jo sepultura rules. i am not a metal freak but i used to be many years ago. and i will never forget sepultura. it was so incredibly trancy. 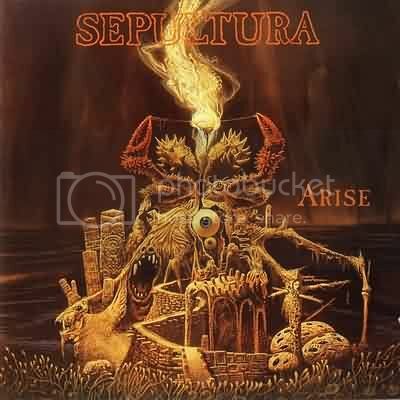 and sepultura, this one, as i was 13 -14 i could recite all their texts without exception. i loved them so much. i could recite them better than i could recite shakespear:)))). I WILL NOT FOLLOW YOUR RULES°! now i cant remember the texts anymore. they are gone. so long time. but i remember , i loved death metal. i could not stand normal metal but i loved death and trash. normal metal was in a relationship to death metal , like isra melodic full on in relation to dark psy. but really they were so unique. they were the first real dark trance actually....for me... 14 years ago.....well i dont know if theywere the first. there was a lof of dark in the history. to me mfg were dark too and hallucinogen too. well they had a dark mood. The Fear Factory remix album is called "Remanufacture" and now available with "Demanufacture" remastered as a special 25th Anniversary release for Roadrunner Records. Same with Sepultura, once Max left they died, and whilst a few Soulfly albums (S/T and Dark Ages) have good kick in them, just not the same at all. And yeah Moki, a lot of the older goa and psy had a very hanuted and dark edge to it that many of the full on and progressive fanatics refuse to acknowledge, even a lotof the Neo-Goa Suntrip type, but a lot of what is called dark psy now to me has so much in common with the old styles. Ocelot for example has some very lovely acidic type trance sounds that sadly get lumped in dark trance and ignored my the masses. well ocelot is one of those people who can do quite a lot of different style. not anyone can do it. Well, almost everything... from light to darkness. Mostly I listen to darkpsy, but I also like jazz, blues, psychedelic rock, chillout (downtempo, trip-hop, ambient, etc), folk metal... and a lot of death metal. I really don't care about the style if I like that.